SUMMER HEROES started as simple idea. If you were a superhero what would you look like? What would your special powers be and what would you do with them? Who would your secret super hero identity be? WE ALL HAVE SUPER POWERS. WHAT’S YOURS? SUMMER HEROES launched in July 2012 as simply that – no funding, no elaborate programme, just an idea. Within two months we produced a drawing collection from 124 participants from 16 local Homes and Centres. The results were amazing. Members of the public and corporate sponsors donated art materials to each child and all participants received certificates of excellence and personal copies of the collection. In December they were all treated to a field trip at IMAX and the Emperor Valley Zoo. All participants shared their secret super identities with us and gave us the opportunity to enter their worlds, their minds and ambitions – and we realized that these amazing young people were very perceptive about their country and its needs, and despite many of them having lived through harrowing and abusive situations, they were all able to identify their personal strengths and a desire to help others. 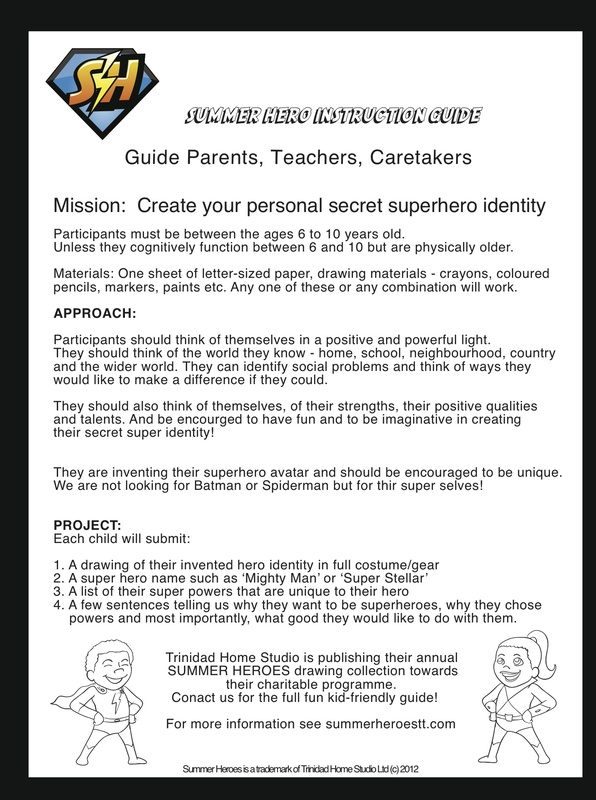 SUMMER HEROES will be an annual charitable art-based programme, incorporating children between the ages of 6 and 10. Using art therapy approaches, every year will be unique. The art mediums will change, the focus and process will evolve each year. For SUMMER HEROES 2013 please select the link.